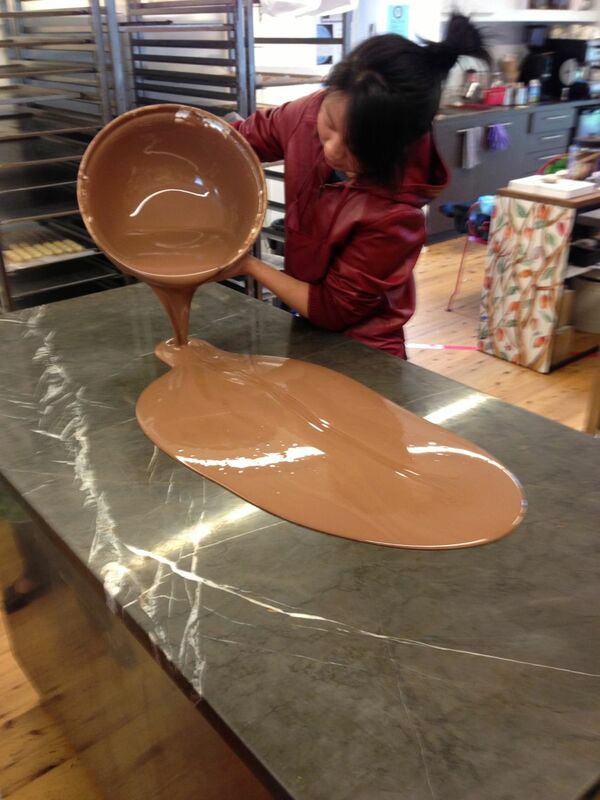 What do you give the guy who has always been obsessed with chocolate? Chocolate? Well it’s not a bad start, but, let’s face it, I’ll probably buy myself some if you don’t get it for me. Ahhh, how about the old “give a man a fish vs. teach a man to fish” adage? Perfect! 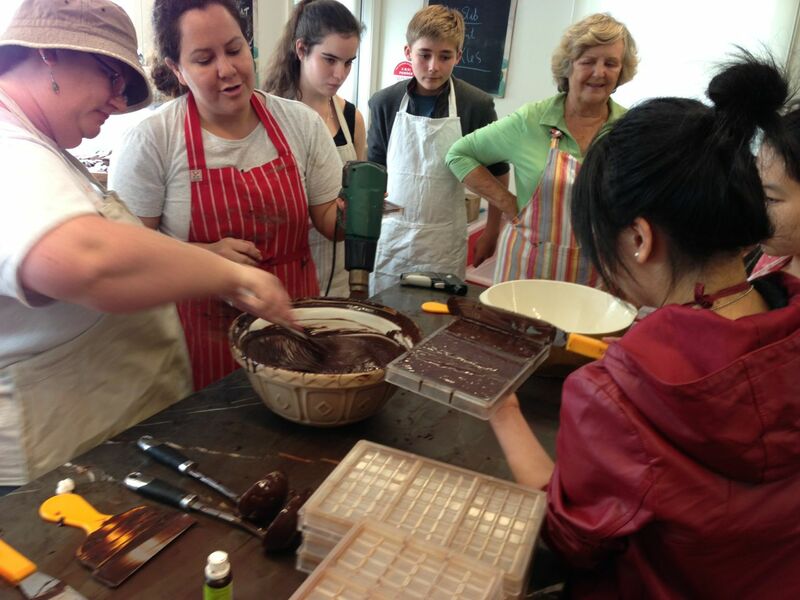 And so, last year my wonderful wife gave me a hand tempering class from one of my favourite stores Coco Chocolate. What’s not to love about them!? 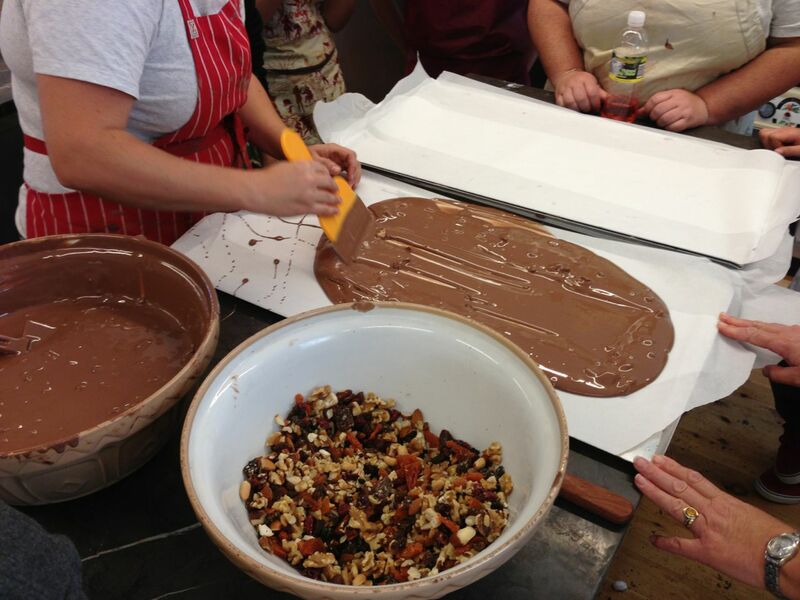 So I got dropped off at their Mosman cooking HQ, the family headed to the Zoo and I settled in for a 3 hour lesson in classical French chocolate tempering. We had three things to make for the day. 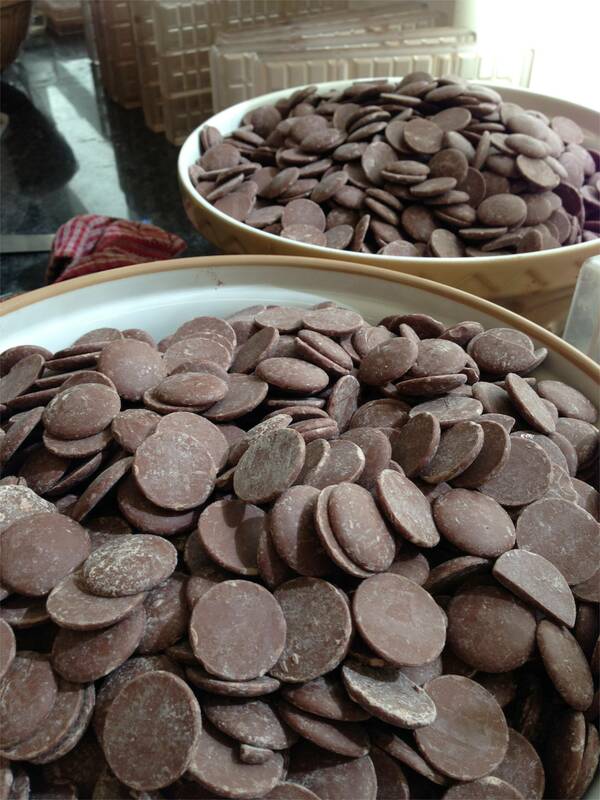 4 kilos worth of chocolate to make bars of the dark choc, lime & coconut, and 8 kilos of milk chocolate for the fruit & nut shards, and freckles! As Tara walked us through everything (I’m not going to share it all. Go do the course yourself! 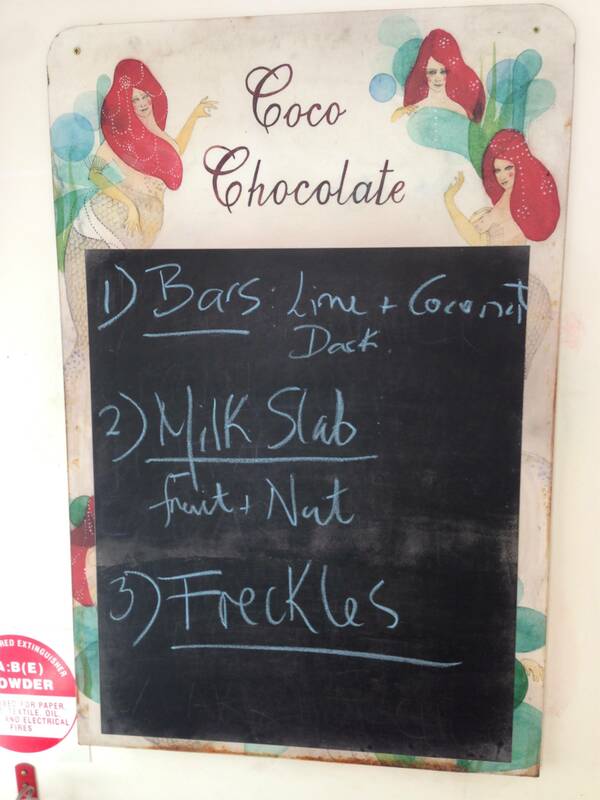 ), she talked a lot about the history of chocolate, the different qualities and strengths, the science behind chocolate (why does it matter if it’s cheap or not?) 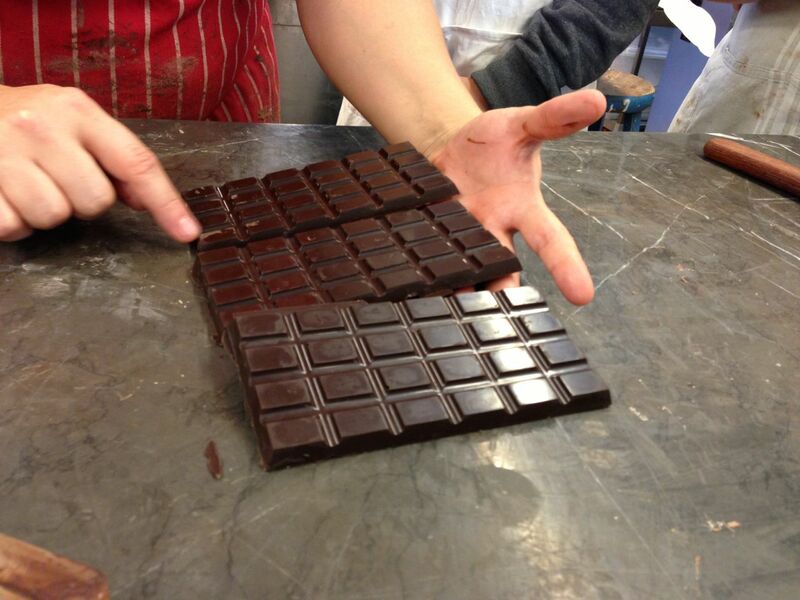 and tempering, and even how chocolates with identical ingredients can have vastly different flavours (to even my slightly trained palate) depending on the region it is sourced & a couple of simple environmental factors. Fascinating, informative…. and tasty! We got to eat as we went (maintaining appropriate hygiene at all times) and even take a goodie bag home with us! 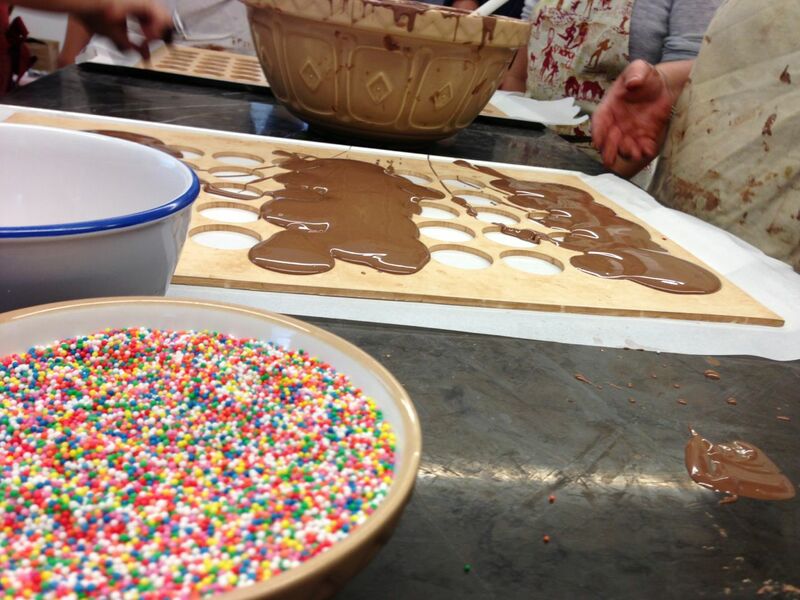 (if only we got to split all 12 kilos!). 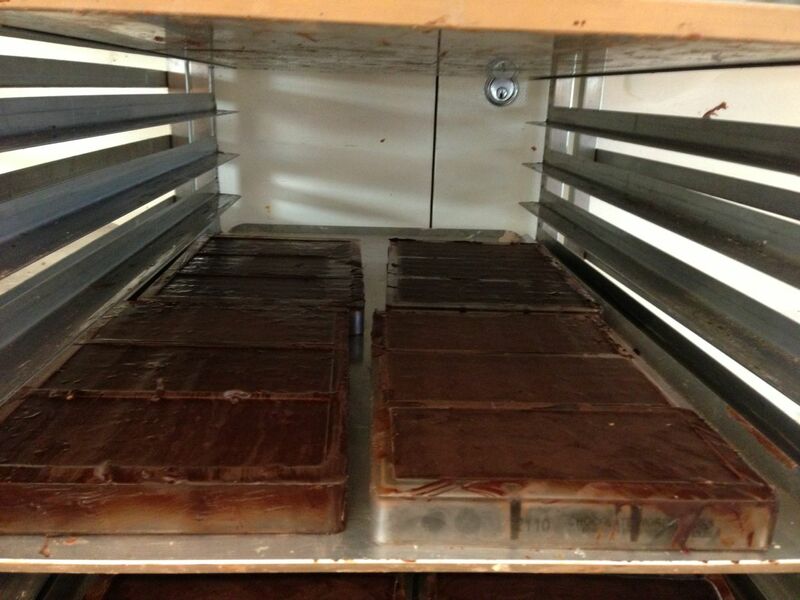 Now the question is whether or not next birthday will get me some equipment to do my own chocolate at home? Here are some (substandard… they were on my phone) pictures. The crew being taught how little things like even melting play a BIG role! Almost as good as gold bars! And so a freckle is born!